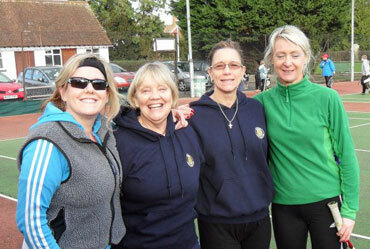 Ladies' morning takes place weekly on Mondays at 1.30 - 3.00pm, running throughout the year. This is a great opportunity to meet & make friends whilst honing your skills. Every week we run a group coached session which will include plenty of instruction but with the emphasis on the "Social" and "Matchplay" side tennis. It's fun, it's friendly and will improve your tennis - what more could you ask for! The session includes an hour an half of coaching your drills and skills followed by matchplay where the coach joins in and also offers tactical instruction. So come and join us! This is a pay and play session of £12.00 for a member and £15 for a non member for this session.